Laura Risk's fiddle is a revelation and achingly beautiful. 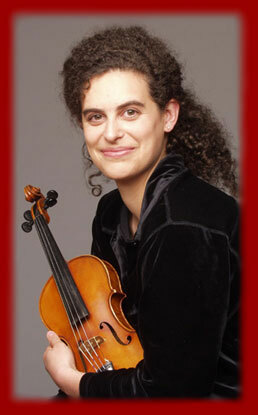 A California native, Laura Risk began playing Scottish fiddle music as a teenager. Her love of traditional fiddling has led her into a rich journey of performing and teaching the beautiful and diverse repertoires of Scotland, Cape Breton and, most recently, Quebec, where she now lives. As evidenced in several highly-praised albums, her playing is extremely expressive and versatile, ranging from elegant music composed for 18th-century Scottish drawing rooms to driving strathspeys and reels suitable for a Cape Breton dance floor.